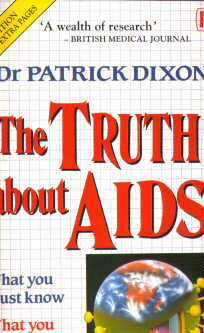 This book hit the front page of three British newspapers in the 24 hours following publication, with two editorials calling for the government's Chief Medical Officer to resign. It also led directly to the launch of a major new international relief agency, ACET (AIDS Care Education and Training), now operating in ten nations. The ten point plan for government action has largely been implemented, and the manifesto for community action has become a reality through ACET. Now entire text of third edition available on net FREE.